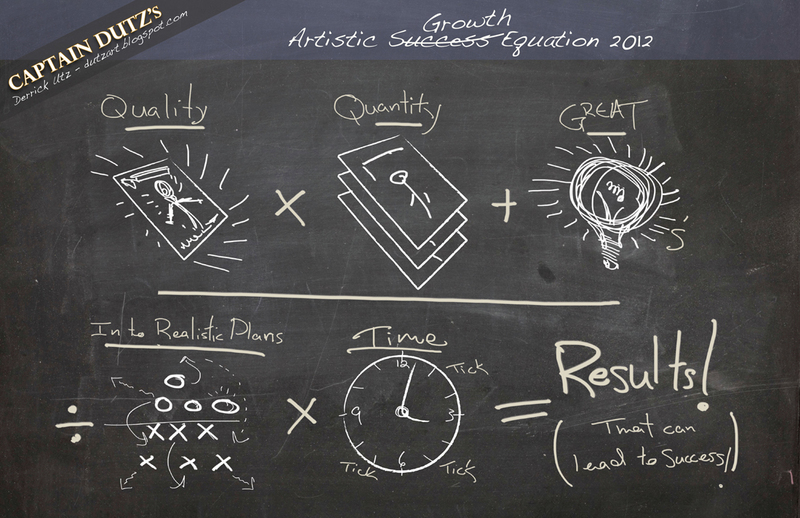 DutzWorks - Illustration and Graphic Design by Derrick Utz: Captain's Rant #11 - My Artistic Growth Equation!!!! 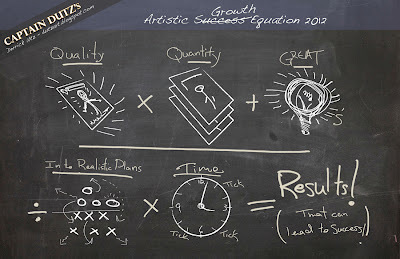 Captain's Rant #11 - My Artistic Growth Equation!!!! Avast Fans, Friends and Visitors! Thank you for stopping by and taking a look at what is happening on board! This is just a quick Captain's Rant to drop some inspiration on ya'!! I have had this illustration kick'n around in my head alot lately. I really wanted to jot down the different pieces of the equation that helps build real results for creatives and artists for their professional and personal growth. I wanted to create a reminder for myself that I could also share with others. Then, while working on other projects this morning, I was listening to Chris Oatley's ArtCast#58 (Podcast). It was his description of how growth is not a finite "goal" but an everlasting "process", and it inspired me to finish this illustration! So, enjoy and I hope it is a fun reminder of what it takes to gain ground as a creative! Thank you all for visiting and I will be back soon with more creative content!